We presented a two-stage combined bioreactor system consisting of a stir-tank and an airlift column, and challenged with Rhizoma zedoariae cell suspensions for β-elemene production. Two-stage culture was initiated when the cell concentration in both vessels was maintained at an appropriate density. The cells were proliferated in stirred-tank with the maximal growth rate of 0.17 d−1 to present enough cells for β-elemene synthesis. In the airlift column, continuous cell separation from culture medium was achieved by using a cell retention device based on centrifugal and gravity settling when the system was performed in perfusion mode. The results indicated that additives can efficiently promote the accumulation of β-elemene in R. zedoariae cells. 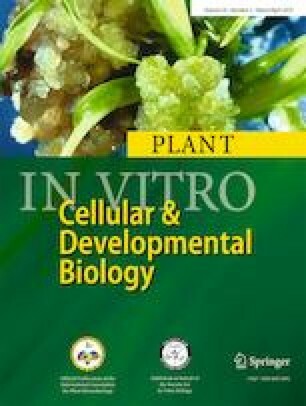 In addition, the β-elemene content showed higher levels in cell lines of overexpressing 3-hydroxy-3-methylglutaryl coenzyme-A reductase, Farnesyldi phosphate synthase, and ST02C genes. This work was supported by the Shanghai natural science fund (No.BS150004).